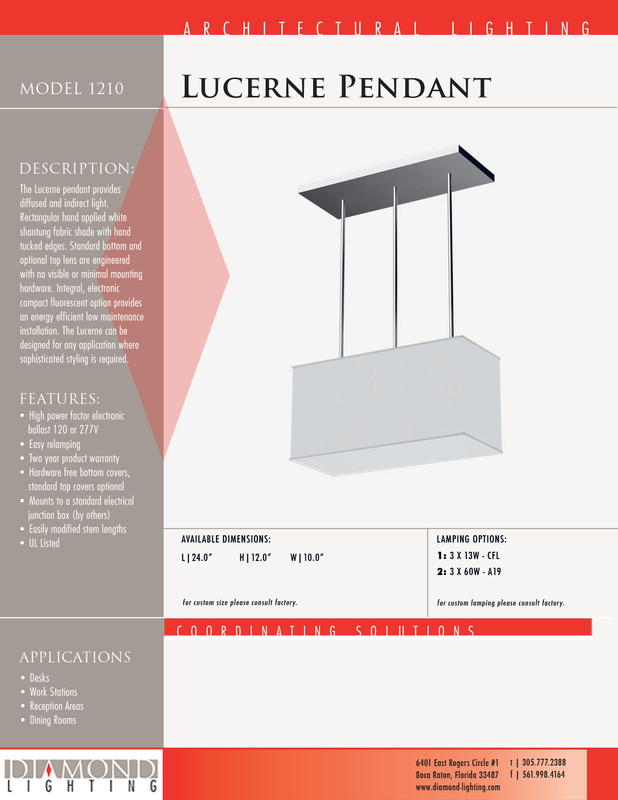 The Lucerne pendant provides diffused and indirect light. Rectangular hand applied white shantung fabric shade with hand tucked edges. Standard bottom and optional top lens are engineered with no visible or minimal mounting hardware. Integral, electronic compact fluorescent option provides an energy efficient low maintenance installation. The Lucerne can be designed for any application where sophisticated styling is required. 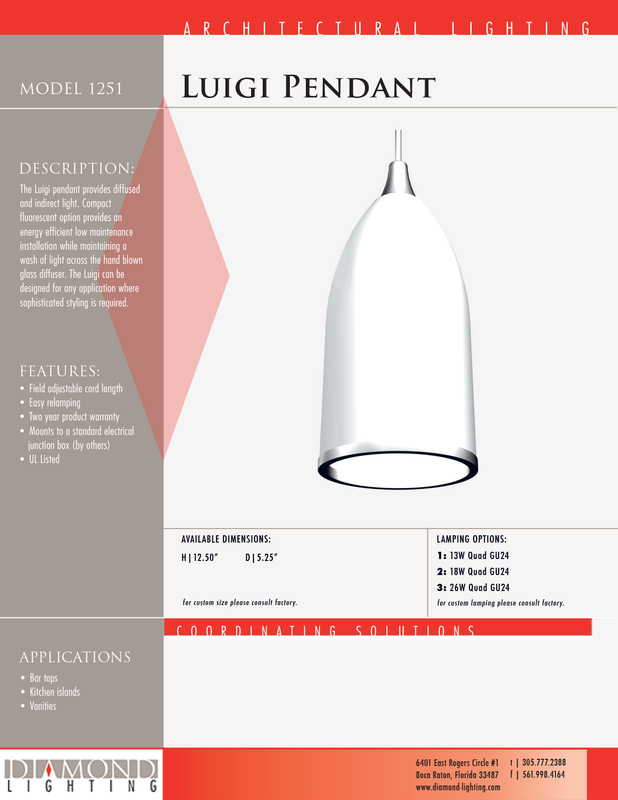 The Luigi pendant provides diffused and indirect light. Compact fluorescent option provides an energy efficient low maintenance installation while maintaining a wash of light across the hand blown glass diffuser. The Luigi can be designed for any application where sophisticated styling is required. 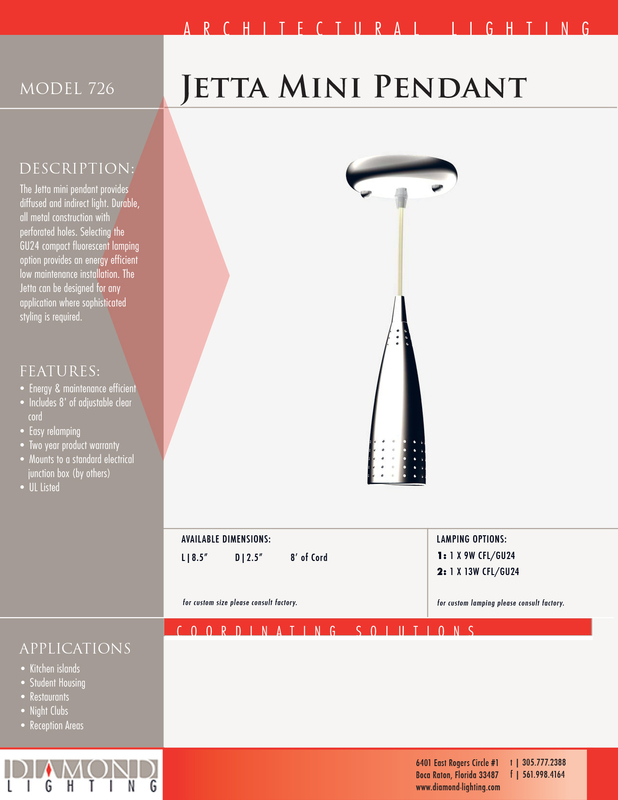 The Jetta mini pendant provides diffused and indirect light. Durable, all metal construction with perforated holes. Selecting the GU24 compact fluorescent lamping option provides an energy efficient low maintenance installation. The Jetta can be designed for any application where sophisticated styling is required. 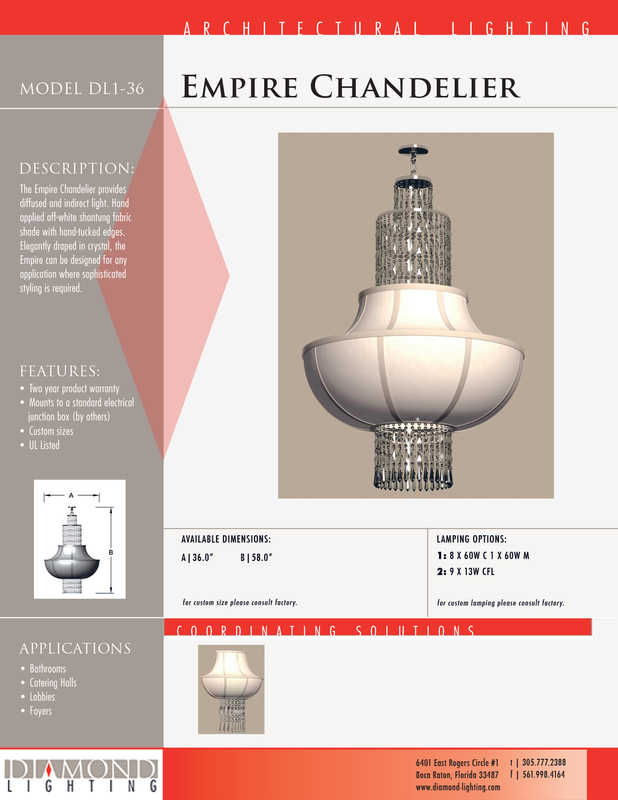 The Empire Chandelier provides diffused and indirect light. Hand applied off-white shantung fabric shade with hand-tucked edges. Elegantly draped in crystal, the Empire can be designed for any application where sophisticated styling is required. 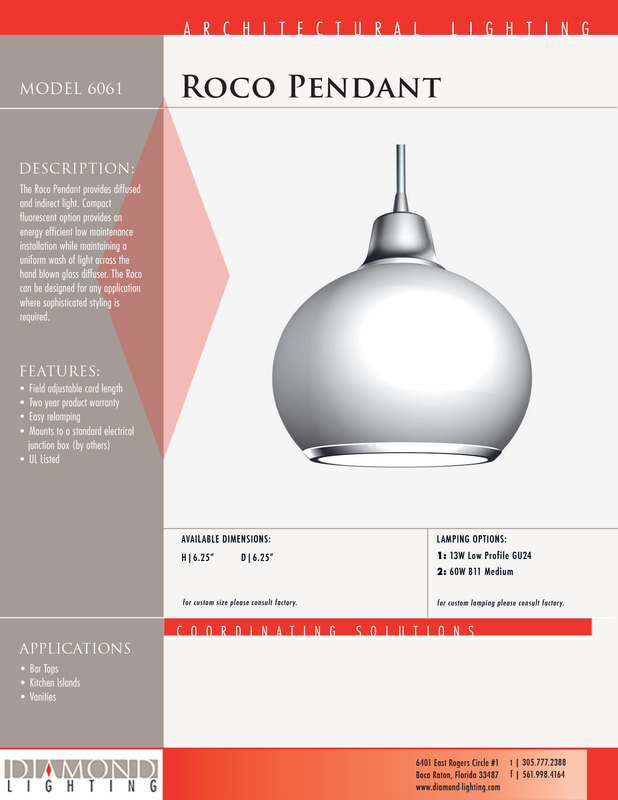 The Roco Pendant provides diffused and indirect light. Compact fluorescent option provides an energy efficient low maintenance installation while maintaining a uniform wash of light across the hand blown glass diffuser. The Roco can be designed for any application where sophisticated styling is required.